TC productivity starts at the header. 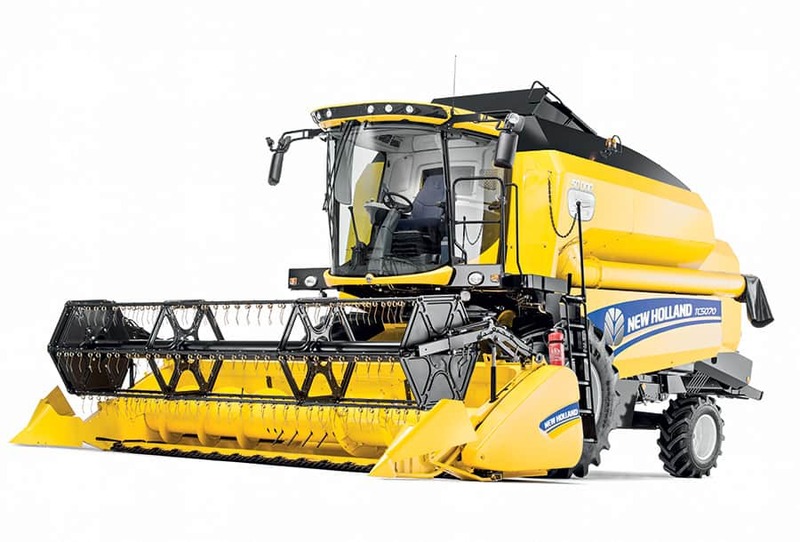 Common grain header features include a large diameter reel, with easy adjustment, an aggressive knife action and retractable fingers over the full intake auger width. These features combine to deliver consistent crop feed right from the start. You can get working faster too, thanks to the quick header coupling system and, if you have to stop for a blockage, no problem. Blockage clearance is straightforward and dependable. Just what you expect from New Holland. 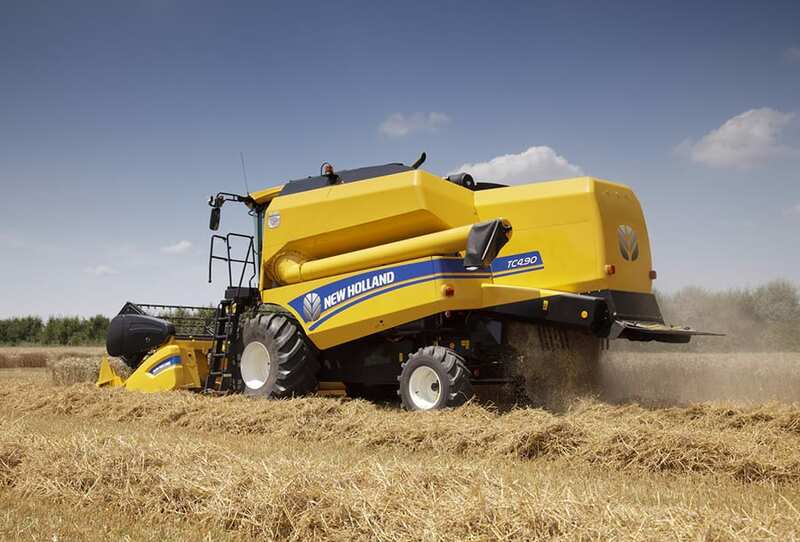 Automatic Header Height Control offers a choice between stubble height control or automatic pressure compensation. In normal working conditions, the header height can be set and left to automatically look after itself. Lateral float takes care of uneven terrain across the front of the combine. Need to cope with rolling and undulating land? Autofloat™ II adds even greater automated control. 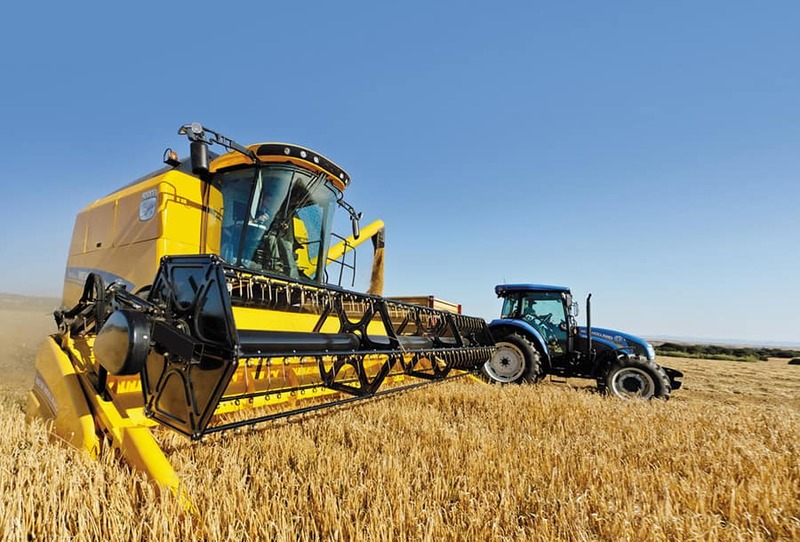 Autofloat™ II is available to suit rolling field conditions*. 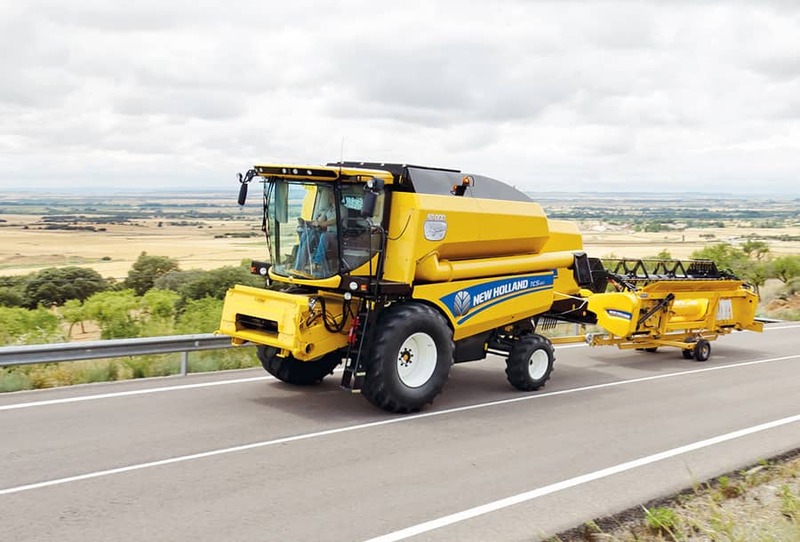 The system automatically corrects “exaggerated weight signals” to reduce the tendency for the header to bulldoze when working downhill and maintains the correct stubble height when working uphill. *only available on TC5.80 & TC5.90. 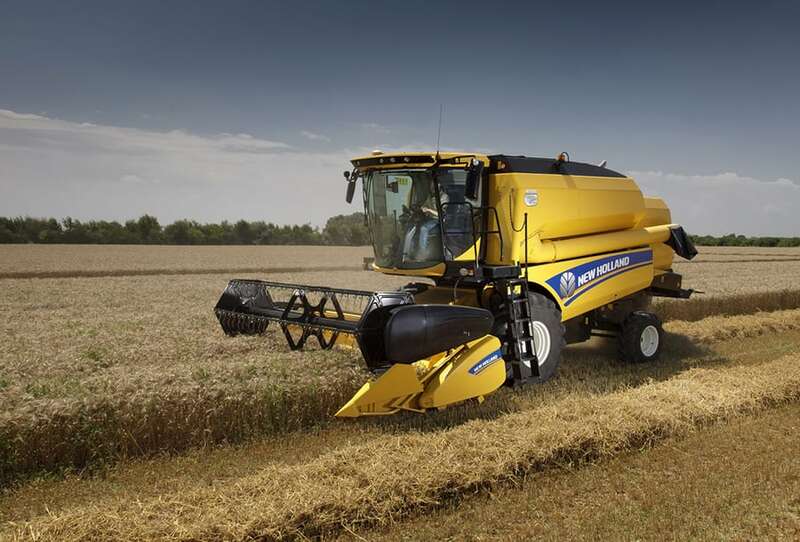 High capacity grain headers are purposely designed to cope with all kinds of crops and conditions. A mechanically driven reel ensures reliable performance, season after season. 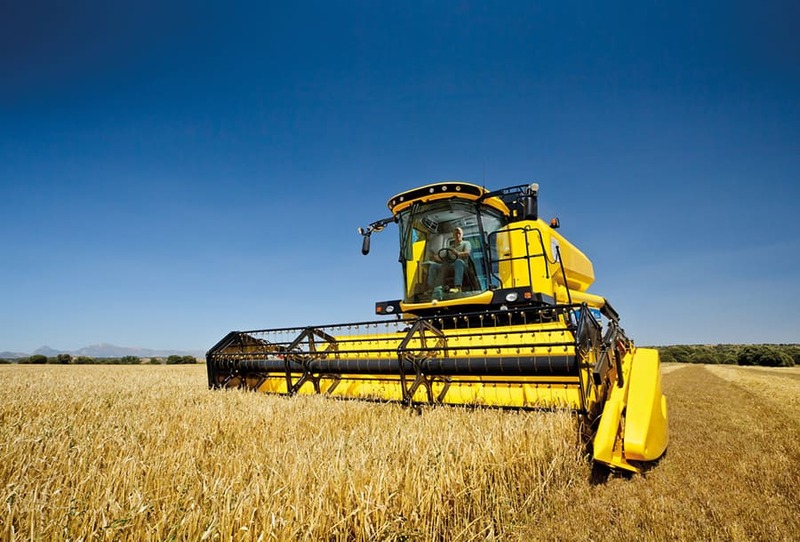 The 1150 stroke per minute knife offers a perfect cut in all kinds of crops. 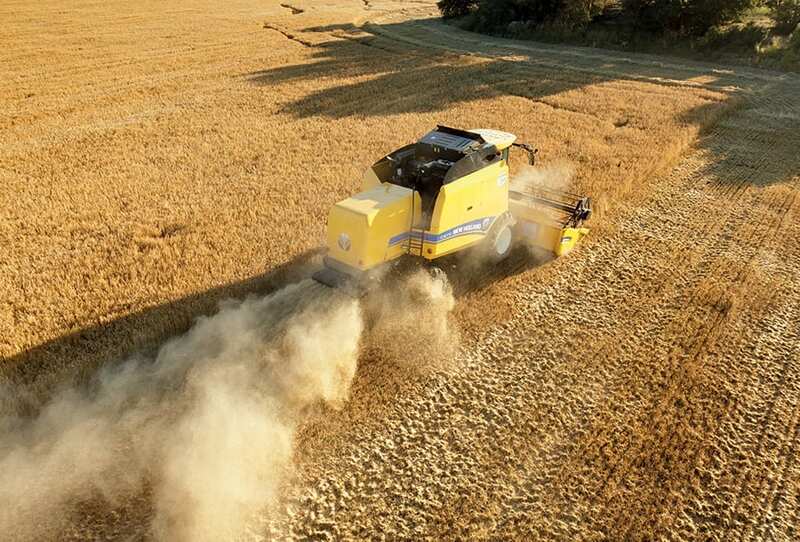 Perfect stubble height is maintained by the height control skid plates, sensors automatically monitor the position of the header in all terrain and ensure optimum header performance. 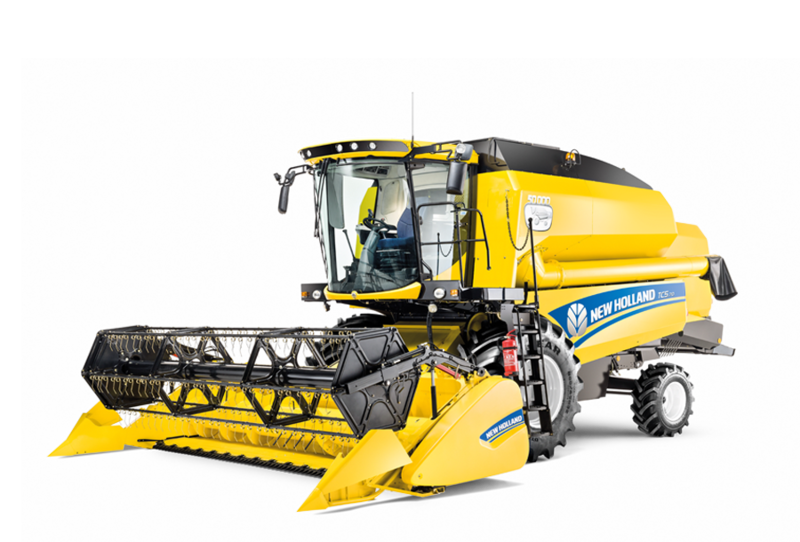 The High capacity grain header range offers 4 models from 3.96m to 6.10m with a specific “Rice” configuration in 5.18m if needed. 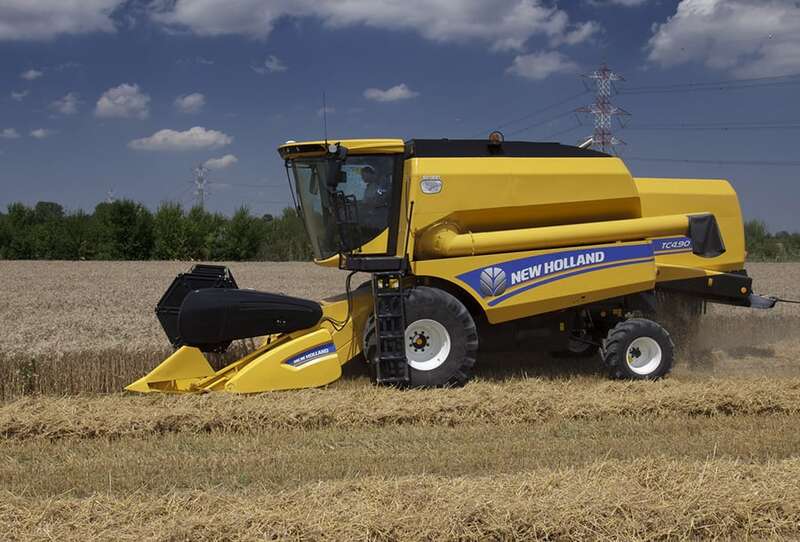 New Holland Varifeed™ grain headers set the standard for high performance in varied crops and conditions. 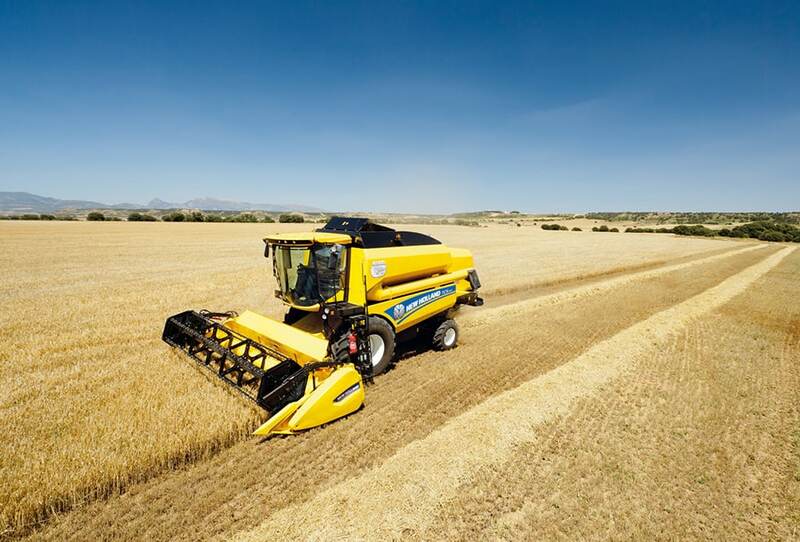 With a fore and aft adjustment of 575mm, the knife can be positioned to deliver optimised cutting efficiency to suit both the crop and changing conditions. Laid crops and long straw are no longer an issue, simply adjust the knife to optimize flow to the feed auger. 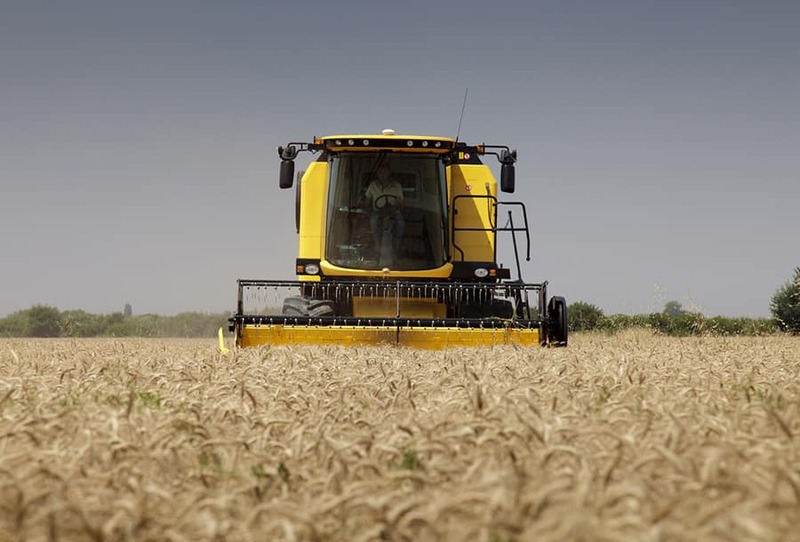 Electro-hydraulic adjustment allows the knife position to be changed from the cab while harvesting, to suit different conditions within the same field. 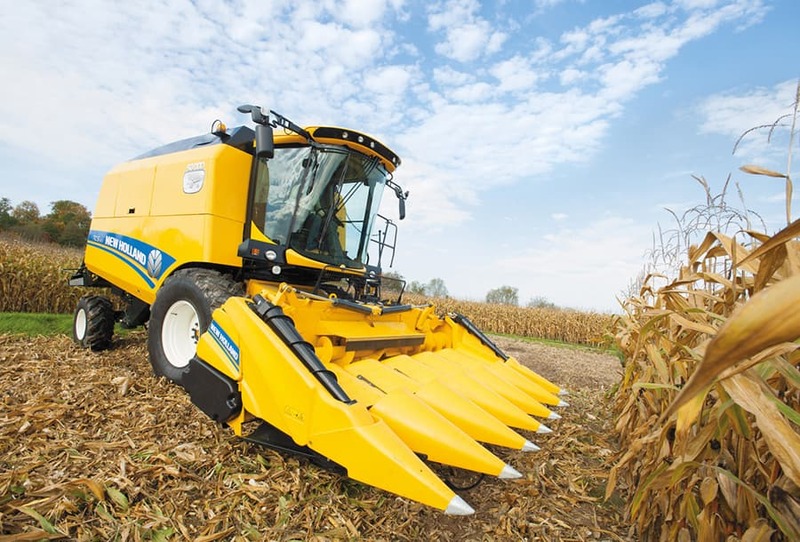 New Holland has developed an all-new maize header line-up, purpose designed for TC combines. The upgraded maize header line-up perfectly satisfies the demands of modern maize harvesting to boost productivity and harvesting efficiency. The shorter points better follow ground contours to prevent ‘run-down’ of valuable crops. The gills direct any loose kernels to the back of the header, consigning wasted cobs to the history books. The replaceable wear strips extend the headers lifespan and all points flip up on self-supporting gas struts for easy cleaning and maintenance. Modern maize headers for modern farmers. Rigid headers are available in 5 or 6 row configurations, while a 6 row flip-up version is available on TC5.80 and TC5.90 models. The flip-up version is the ideal choice for transport intensive operations that are subject to the stringent 3.5m width restrictions. Field to field transitions are made much faster and easier thanks to the standard Fast Coupler.